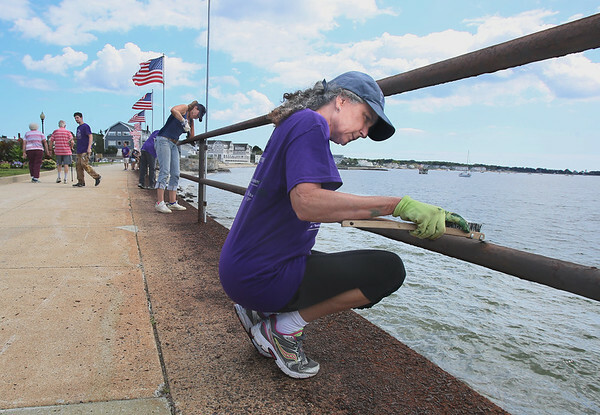 Christine Sears of Action Inc. scrapes old paint off the railing at Stacy Boulevard while working Friday with more than 25 other volunteers in the North Shore Community Development Coalition's Build Day in Gloucester. More than 25 volunteers helped with the project to repaint the railing. In the background is Andrea Donnelly of Bank Gloucester's BG Financial Services.